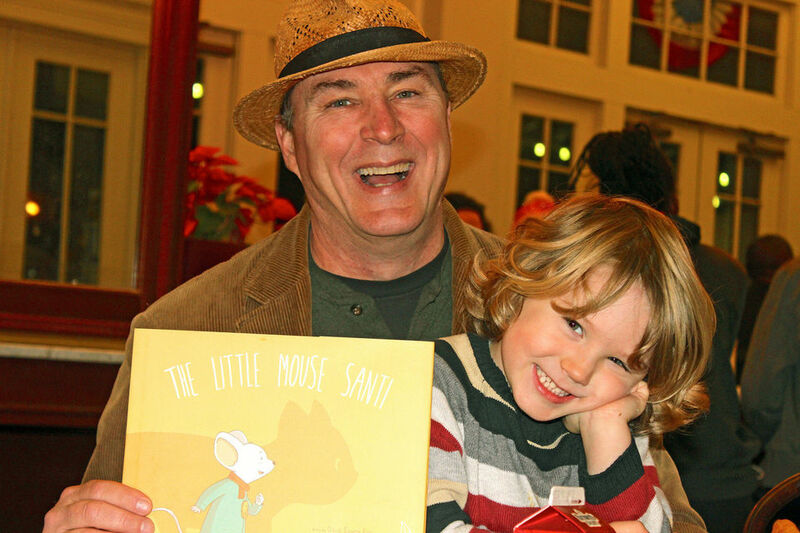 Home Book Great write up on author David Eugene Ray for The Little Mouse Santi! In this Jan. 5, 2015 article on NOLA.com (Times Picayune), reporter David Lee Simmons talked with David Eugene Ray and illustrator Santiago Germano about how The Little Mouse Santi came about, and the process of collaborating to come up with what Simmons calls, “a charming and lovingly illustrated fable.” A slideshow gallery is included in the article. “I showed him the idea of the story with the words, and he showed me an illustration of the mouse from behind, looking out of a mouse hole, so you’re looking at his back and there was this light shining in, but his shadow coming through was that of a cat,” David explained. “Even his body language would talk to us. The result is a simple but evocative artistic design that perfectly complements Ray’s understated yet lyrical storytelling technique. In a glowing December write-up by Kirkus Reviews, Germano’s technique rightly was compared to the Japanese anime style popularized by Studio Ghibli and Hayao Miyazaki. The text, sparingly registering as eight- to 10-word sentences, rolls along the page as if on a soft rollercoaster ride as Santi tries to perfect the mannerisms of a cat to prepare for a revealing audition (and a surprise ending).